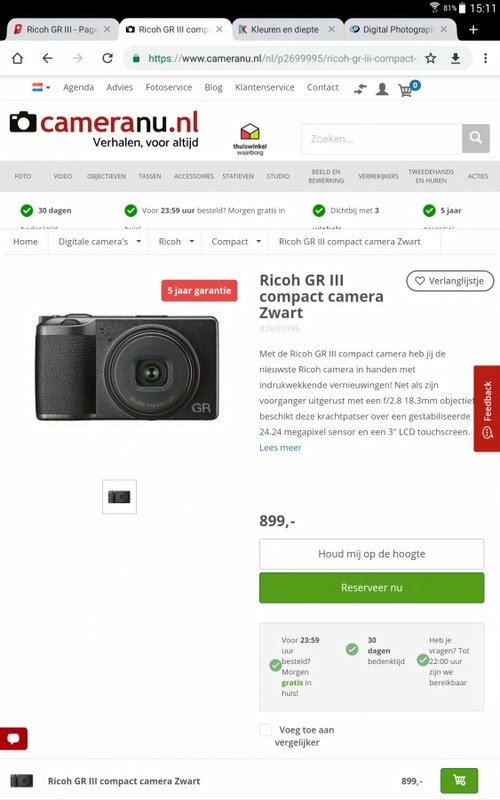 You can sign in for pre-order on the GRIII in The Netherlands for 899 euro right now! Nice but I can't read Netherlandish tongue. I'm keeping an eye on B&H and Adorama. They should be showing it soon in the US. I have an old photo of amsterdam canal at sunset, and also the many bicycles in the street of amsterdam, taken with a Nikon compact camera, it's very nice. Unfortunately at the time I did not have a Pentax DSLR. 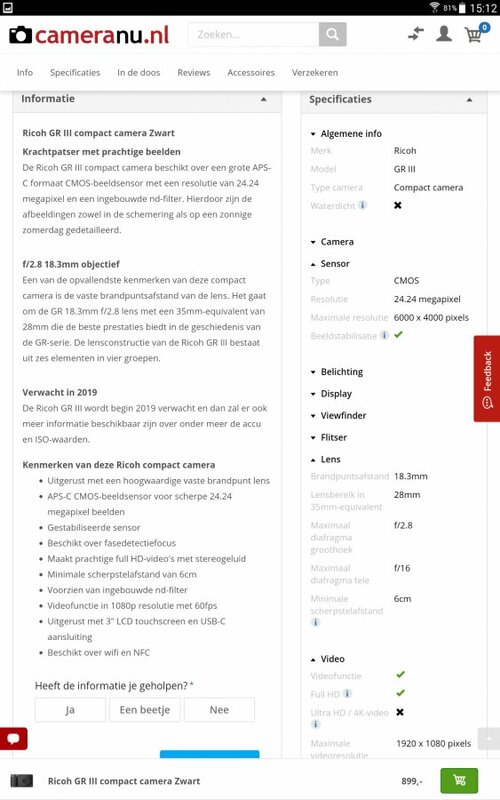 But soon it will be possible to photograph the streets of Amsterdam with a GRIII , that's good news (sorry for being slightly out of topic).